The StairMaster StepMill 7000PT is a staple in any health club or gym. 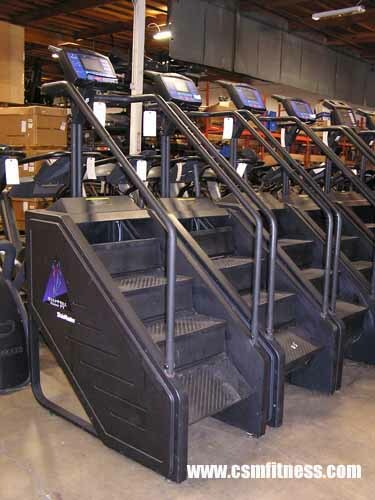 The Stairmaster Stepmill 7000PT uses patented revolving staircase with 8″ (20.3 cm) high steps, which most closely duplicates the workout of really walking or running up stairs. Revolving staircase speed may be varied from 30-174 steps per minute. 6 workout options; Quick Start, Manual, Fat Burner, Aerobic Training, Speed Intervals, Constant HR.